As I wrote the other day, California is an endless expanse of wine regions that stretches on for, literally, days. From southern AVA’s near Santa Barbara to the upper reaches of Mendocino and beyond, it would take years to truly explore everything that this great state has to offer. In part I of Back on the California Wine Trail I wrote about several wineries that caught my attention in the Paso Robles and Edna Valley areas. L’Aventure and Tablas Creek to name two. In this second part, we’ll move up the coast, north of San Francisco to Sonoma and beyond to explore a few stand out wineries from this area as well. 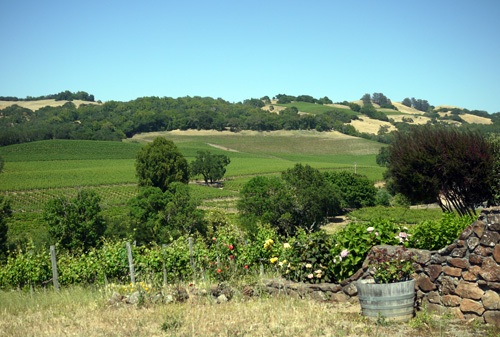 I’ve spent a significant amount of time over the past years in the Sonoma area. Much more so than I’ve spent in its abutting cousin, Napa. Not to say that I don’t like the Napa side – there’s certainly allure to the glitz and glamour of expensive Napa Cabernet and elite estates. But Sonoma’s a bit more my speed. A bit more laid back, a bit more cost effective, a bit more local. Every time I visit Sonoma I chart out areas or grapes that I specifically want to explore. On this trip, it was Pinot Noir in Russian River Valley and Cabernet Sauvignon around and north of the Healdsburg area (including Alexander Valley and to a lesser extent, Dry Creek). Within these areas, over a day and a half period I visited approximately eight or nine wineries and there were two easy standouts – Woodenhead and Iron Horse. But, before I jump into those, here are a few more that I enjoyed. Christopher Creek, just southeast of Healdsburg, is a winery that I’ve had on my list for years and this time I finally got to visit. 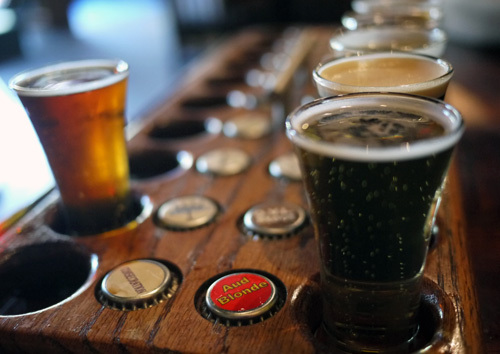 I enjoyed the tasting, and found the personnel to be some of the friendliest in the valley. Their Meritage blend and port were both quite nice and reasonably priced. I was pleasantly surprised by Alexander Valley Vineyards as well. I’ve had a number of their standard release wines in Boston, but they also have a number of much more interesting Reserve wines that are available at the winery that I had never tasted. And, I did swing up toward the northern tip of Alexander Valley to check out the grounds at Silver Oak. Nothing surprising here, but if you have time their winery is beautiful and they offer a vertical tasting of five Alexander Valley Cabs and their current Napa Cab release for $20. An interesting look into one of the well known Cabernet producers on the Sonoma side. 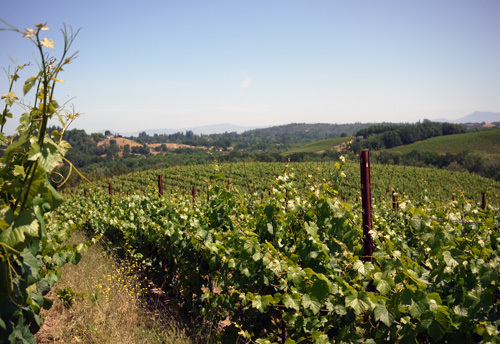 They do, by the way, have a winery on the Napa side as well, but the Alexander Valley vineyard is their main property. But, back to the stand outs. 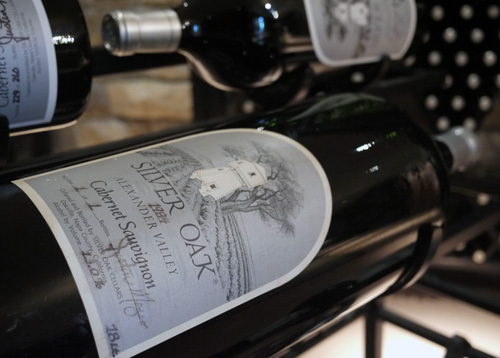 If for nothing else, the visit to Silver Oak produced two key recommendations – Woodenhead and Iron Horse. As a side note, I always find it a good habit to ask well-versed winery staff about their recommendations. Sometimes wineries that weren’t even on your radar pop up and become favorites. As in this case. I actually hadn’t heard of Woodenhead. 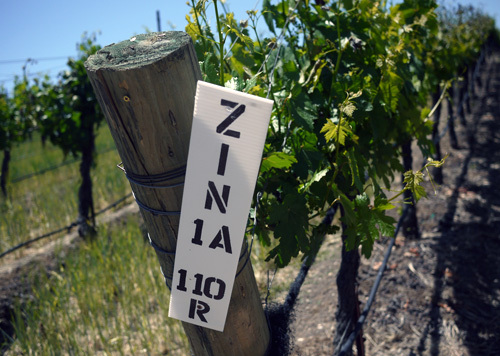 They’re a small producer – they don’t own any of their own vineyards. And they sell predominantly through their tasting room and wine club. 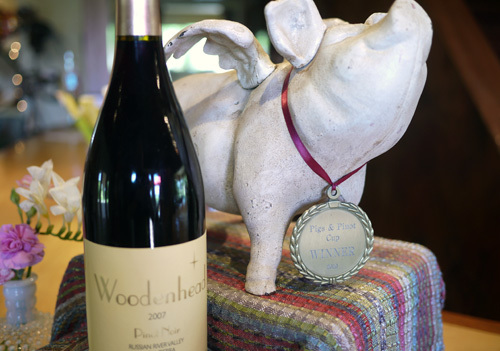 Their specialty is Pinot Noir, but they also have a really cool white offering – a French Colombard from RRV. Turns out, the winemaker – Nikolai Stez – has some pretty elite roots in the industry, going back 17 years with Williams Selyem. 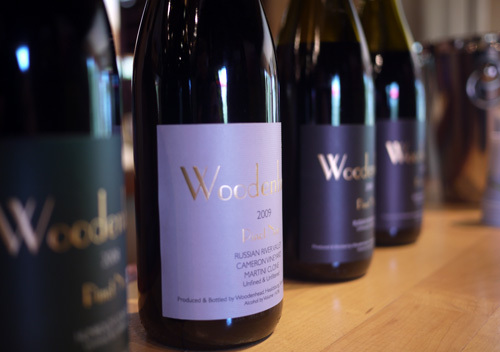 And the Woodenhead wines show this experience with finesse and complexity. The winery offers five Pinots from Russian River and beyond, including one from Anderson Valley and one from way up north in Humboldt (which turned out to be my favorite of the lineup). The 2008 Humboldt Pinot is a small production wine with only 374 cases produced. 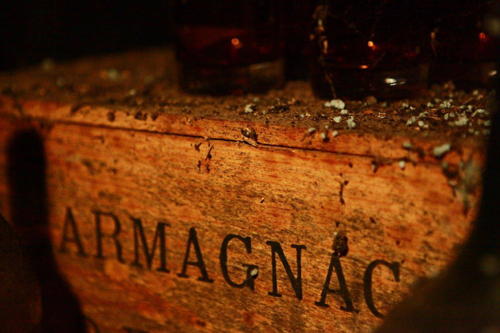 It’s rich and dark with floral undertones and earthy fruit. Cherries, plum, spice and mocha all come together to form a truly decadent California Pinot experience. The other stand-out, Iron Horse Vineyards, sits quaintly atop a peaceful hill, up a long dirt road, overlooking a beautiful vista of Russian River Valley. The tasting “room” is outdoors, giving the visitor the full opportunity to experience this truly picturesque landscape. Other than the setting and scenery, what truly impressed me about Iron Horse was their sparkling wine. I enjoyed their Chardonnay and Pinot Noir as well, but it was the sparkling wines that took me for a big surprise. The 2007 Brut X is dry, bright and dancing with fruit and minerality. Easily a 90+ point wine. Equally enjoyable was their 2006 Brut Rose. Again, dry, bright and full of minerality – the Pinot Noir gives this sparkling Rose exquisite charm and a delicious-factor. Another really cool aspect to Iron Horse is their limited production and collaboration wines. The bottle I wound up walking off with was their 2007 Ocean Reserve sparkling wine. 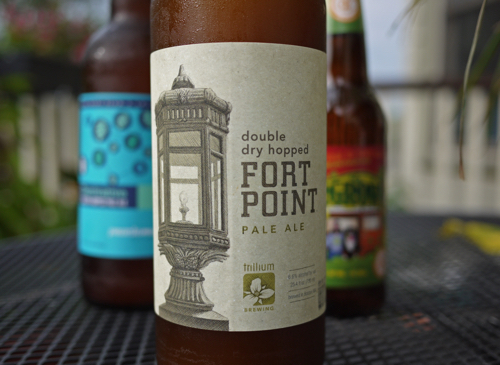 This special cuvee was created in partnership with National Geographic. 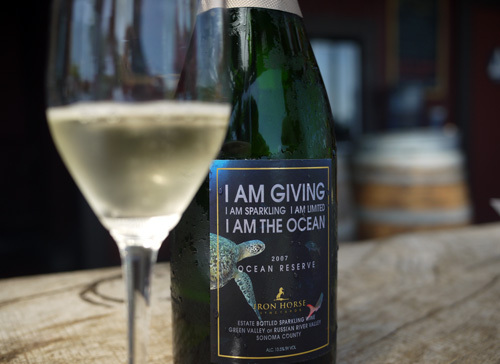 Iron Horse gives $4 per bottle to NG’s Ocean Initiative. In two vintages, they have contributed nearly $70,000 to the cause. It’s also, by the way, another quality sparkling wine. Sonoma is, for all intents and purposes, a wine mecca. 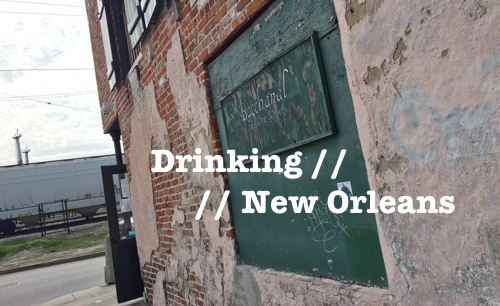 But it’s also a mecca for food and the broader category of alcohol drinks. The next time you find yourself in the area, make sure to book a dinner reservation at Zazu on the western outskirts of Santa Rosa. An authentically farm to table restaurant with an all star chef team (you may know Duskie Estes from Next Iron Chef) – this is a great spot for a weekend splurge or a wednesday Pizza and Pinot outing. They also have Pliny on tap. Speaking of which, how could you possibly leave the area without stopping at Russian River Brewing Company just off 101, also in Santa Rosa. Pliny the Elder, Blind Pig, Damnation, fresh as fresh gets right outta the tap. Need I say more? 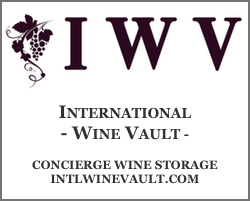 What wineries would you recommend in the Sonoma area?